New government data points to a decline in apprehensions of undocumented immigrants along the U.S.-Mexico border over the past few months. This can be attributed to a range of factors, only one of which might be the get-tough immigration enforcement policies of the Trump administration. Apprehensions normally rise and fall over the course of the year, and apprehensions were trending downward in the years before Trump was president. This was a result not only of heightened immigration enforcement, but also improving economic prospects in Mexico—as well as sluggish growth in the United States of the less-skilled jobs most commonly filled by undocumented immigrants. As a result, there were more Mexicans in the United States heading back home from 2009 to 2014 than there were Mexicans coming to the United States. That is a trend for which President Trump cannot take credit. Regardless, declining apprehensions over the first four months of the Trump administration don’t necessarily mean that unauthorized immigration has fallen substantially. There are likely many factors at play aside from the administration’s rhetoric. Cartels play a role in how many individuals cross the border, and there are reports that the amount of money “coyotes” charge is on the rise. Thus increasing costs could result in fewer individuals attempting to cross. During the last several years the Mexican economy has improved and its unemployment rate today is below 4 percent. More opportunity at home translates into fewer people heading north. The decline in apprehensions could also be due to the fact that the Border Patrol is unlawfully turning away asylum-seekers at the U.S.-Mexico border. Thus the administration’s declining apprehension numbers could in part be due to the Border Patrol’s refusal to allow people in who are seeking refuge. All of these factors make it very difficult to determine what is truly happening at the U.S.-Mexico border. 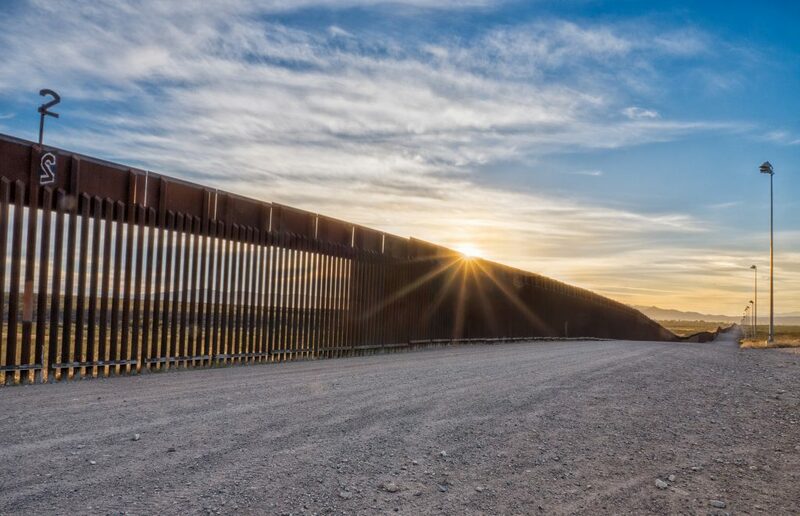 As a 2015 report from the Bipartisan Policy Center points out, there is currently no way to accurately measure the effectiveness of border-enforcement measures. The number of apprehensions is only assumed to accurately reflect how many undocumented immigrants are trying to enter the country. But apprehension statistics don’t give any indication of how many undocumented immigrants actually make it into the country successfully. In the absence of thoughtful measurements, the U.S. government is flying blind. The lack of real data makes it easy for anyone to take credit for a decline in border crossings. For the time being, there is no way to verify such claims.